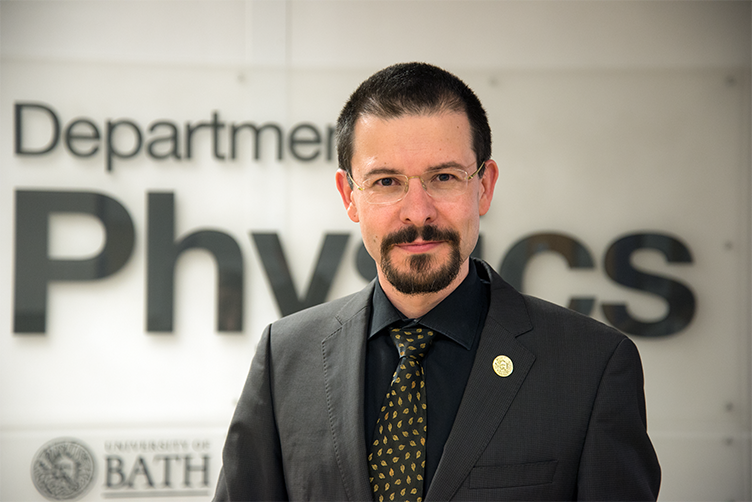 Ventsislav K. Valev is a Research Fellow of the Royal Society and Reader in the Physics Department of the University of Bath, where he heads the MultiPhoton NanoPhotonics group. Prior to taking up this post, he was a Research Fellow in the Cavendish Laboratory, at the University of Cambridge. 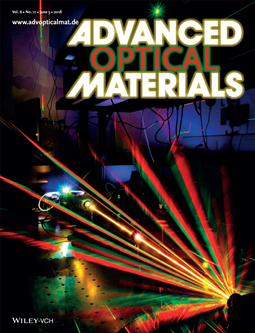 The MultiPhoton NanoPhotonics research group focuses on the interaction between powerful laser light and nanostructured materials. 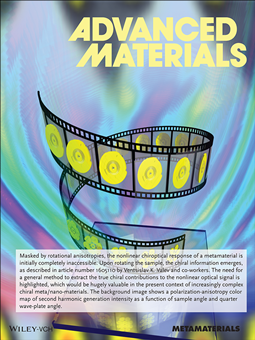 In particular, we explore the application of chiral plasmonic nano/meta-materials to achieve enhanced chiroptical effects with potential benefits for the pharmaceutical industry. 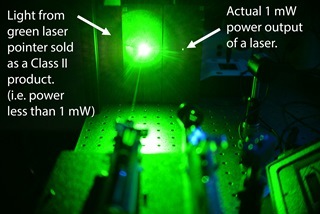 Powerful lasers constitute highly sensitive probes for material properties at the nanoscale, especially through nonlinear optical effect, such as Second Harmonic Generation. But just as light can be used to study nanomaterials, it can also be used to build them. We have thus demonstrated the world's smallest nanojets and have shown how light could be employed as a tiny needle threading gold strings through chains of nanoparticles. In teaching students, our projects often take a distinct science fiction aspect, as we build laser-powered nano-photonic steam engines (Steampunk Science) or program a humanoid robot to become a lab assistant. Abstract: Because of their large figures of merit, surface lattice resonances (SLRs) in metal nanoparticle arrays are very promising for chemical and biomolecular sensing, in both liquid and gas media. SLRs are sensitive to refractive index changes both near the surface of the nanoparticles (surface sensitivity) and in the volume between them (bulk sensitivity). Due to its intrinsic surface-sensitivity and a power-law dependence on electric fields, second harmonic generation (SHG) spectroscopy can improve upon both the surface and volume sensitivities of SLRs. In this report on SHG spectroscopy of plasmonic nanoparticles, we show that the SHG signal is greatly increased (up to 450 times) by the SLRs. We also demonstrate very narrow resonances in SHG intensity (~5 nm FWHM). We illustrate how the SHG resonances are highly sensitive to SLRs by varying the fundamental wavelength, angle of incidence, nanoparticle material and lattice constant of the arrays. Finally, we identify an SHG resonance (10 nm FWHM) that is electric dipole forbidden and can be attributed to higher-order multipoles, enhanced by the strong near-fields of SLRs. Our results open up new and very promising avenues for chemical and biomolecular sensing, based on SHG spectroscopy of SLRs. This work was the subject of a press release from the University of Bath. Abstract: Plasmonic nanostructures have demonstrated a remarkable ability to control light in ways never observed in nature, as the optical response is closely linked to their flexible geometric design. Due to lack of mirror symmetry, chiral nanostructures allow twisted electric field "hotspots" to form at the material surface. These hotspots depend strongly on the optical wavelength and nanostructure geometry. Understanding the properties of these chiral hotspots is crucial for their applications; for instance, in enhancing the optical interactions with chiral molecules. Here, the results of an elegant experiment are presented: by designing 35 intermediate geometries, the structure is "enantiomorphed" from one handedness to the other, passing through an achiral geometry. 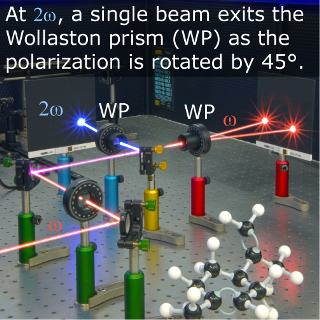 Nonlinear multiphoton microscopy is used to demonstrate a new kind of double-bisignate circular dichroism due to enantiomorphing, rather than wavelength change. From group theory, a fundamental origin of this plasmonic chiroptical response is proposed. 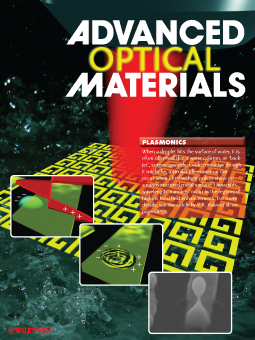 The analysis allows the optimization of plasmonic chiroptical materials. This award was the subject of a press release from the University of Bath. This Award is made in recognition of Dr Ventsislav Valev's long standing commitment to meaningfully involving a wide range of non-academic partners with his research, and encouraging postgraduate researchers within his department to participate in public engagement. Ventsi's research focuses the interaction of powerful lasers with tiny bits of gold, known as nanoparticles. His team is developing new optical materials that can find applications from miniaturised telecommunication components to manufacturing healthier and safer pharmaceuticals. Since 2009, Ventsi has developed a strong public engagement with research portfolio including: coverage across radio, television and print media; publishing of a science fiction novel and a dozen such short stories; collaborations and exhibitions in conjunction with a sculptor; and an extensive series of science workshops on light for primary schools near Bath. To date, this series has engaged over 900 children through 31 workshops and resulted in significant numbers of children believing they could become scientists. As a member of the Department of Physics' Public Engagement Working Group, Ventsi is integral to promoting and coordinating the department's public engagement activity. He has also engaged his PhD students in delivering the school workshops, developing their confidence and presentation skills in so doing. Beyond the University, Ventsi's public engagement work has been recognised by the Royal Society and the Science & Technology Facilities Council through the award of several grants. Ventsi is also a member of the Royal Society Public Engagement Committee whose role it is to oversee all related activities of the Society. 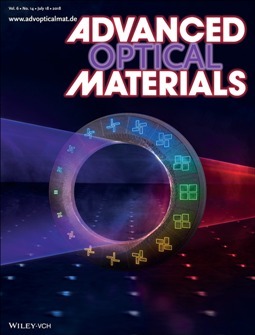 Abstract: Chiral plasmonic nanostructures, those lacking mirror symmetry, can be designed to manipulate the polarization of incident light resulting in chiroptical (chiral optical) effects such as circular dichroism (CD) and optical rotation (OR). Due to high symmetry sensitivity, corresponding effects in second-harmonic generation (SHG-CD and SHG-OR) are typically much stronger in comparison. These nonlinear effects have long been used for chiral molecular analysis and characterization; however both linear and nonlinear optical rotation can occur even in achiral structures, if the structure is birefringent due to anisotropy. Crucially, chiroptical effects resulting from anisotropy typically exhibit a strong dependence on structural orientation. Here we report a large second-harmonic generation optical rotation of ±45°, due to intrinsic chirality in a highly anisotropic helical metamaterial. The SHG intensity is found to strongly relate to the structural anisotropy; however, the angle of SHG-OR is invariant under sample rotation. We show that by tuning the geometry of anisotropic nanostructures, the interaction between anisotropy, chirality, and experimental geometry can allow even greater control over the chiroptical properties of plasmonic metamaterials. Abstract: Miniaturization down to the nanoscale has enabled a new paradigm of ultrathin optical devices, capable of manipulating the direction, polarization, and frequency of light. Great interest is drawn by the promising prospects of deep subwavelength material dimensions. However, interesting properties and opportunities offered by structures with sizes comparable to the wavelength of light appear to have been overlooked. 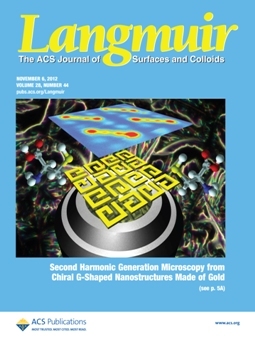 Here, quasiplanar chiral arrays made of gold are considered and show that higher order diffracted beams can yield extremely large chiroptical responses for optical frequencies. The chosen sample geometry demonstrates spectrally tunable polarization conversion and extremely large circular dichroism. Experimental and numerical data are in good agreement, for both sample chiral forms, and for the complementary geometries under Babinet's principle. Specifically, the experimental results show that the fractional circular dichroism (CD) can be as high as 20%, in the third order diffraction beam. Based on the numerical results, a great potential for improvement is anticipated, which makes higher order diffraction CD a very promising candidate for ultrathin optical applications. BBC Radio Bristol 09/10/2017, at 16:05. Throughout the 19th and 20th century, chirality has mostly been associated with chemistry. However, while chirality can be very useful for understanding molecules, molecules are not well suited for understanding chirality. Indeed, the size of atoms, the length of molecular bonds and the orientations of orbitals cannot be varied at will. It is therefore difficult to study the emergence and evolution of chirality in molecules, as a function of geometrical parameters. By contrast, chiral metal nanostructures offer an unprecedented flexibility of design. 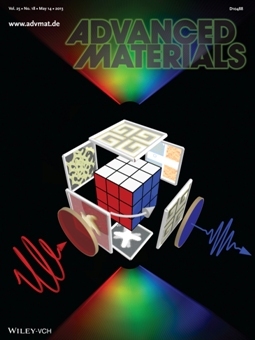 Modern nanofabrication allows chiral metal nanoparticles to tune the geometric and optical chirality parameters, which are key for properties such as negative refractive index and superchiral light. 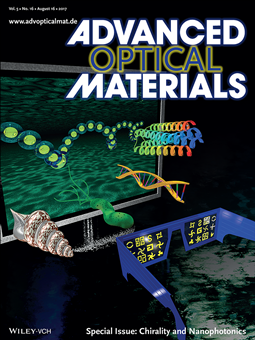 Chiral meta/nano-materials are promising for numerous technological applications, such as chiral molecular sensing, separation and synthesis, super-resolution imaging, nanorobotics, and ultra-thin broadband optical components for chiral light. This review covers some of the fundamentals and highlights recent trends. We begin by discussing linear chiroptical effects. We then survey the design of modern chiral materials. Next, the emergence and use of chirality parameters are summarized. In the following part, we cover the properties of nonlinear chiroptical materials. Finally, in the conclusion section, we point out current limitations and future directions of development. We investigated a chiral metamaterial with substantially sub-wavelength dimensions (<lambda/10), made of nanohelices (Au80%-Cu20%). As the archetypical chiral geometry, the helical design is particularly suitable because it is pronouncedly three-dimensional, it gives directly rise to superchiral field configurations along the center of the helix and its structural chirality parameter is straightforward to estimate as a function of varying dimensions. 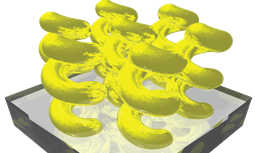 Within this metamaterial, we clearly identify three different rotational anisotropies and demonstrate how they can mask the true chiral effect, rendering the measured nonlinear chiroptical signals unreliable. Our experimental results highlight the need for a general method to extract the true chiral contributions to the SHG signal. Such a method would be hugely valuable in the present context of increasingly complex chiral meta/nanomaterials. The paper was highlighted by Phys.Org. ScienceDaily, NanoWerk, AzoNano. Advances in nanofabrication are expanding opportunities to exploit and customize the "handedness" of materials and of light itself. A pdf copy of the paper can be download here. This work was the subject of a press release from the University of Bath and the University of Cambridge. Scientists have dreamt of nanomachines that can navigate in water, sense their environment, communicate, and respond. Various power sources and propulsion systems have been proposed but they lack speed, strength, and control. We introduce here a previously undefined paradigm for nanoactuation which is incredibly simple, but solves many problems. It is optically powered (although other modes are also possible), and potentially offers unusually large force/mass. This looks to be widely generalizable, because the actuating nanotransducers can be selectively bound to designated active sites. The concept can underpin a plethora of future designs and already we produce a dramatic optical response over large areas at high speed. 3D chirality is shown to be unnecessary for introducing strong circular dichroism for harmonic generations. Specifically, near-unity circular dichroism for both second-harmonic generation and third-harmonic generations is demonstrated on suitably designed ultrathin plasmonic metasurfaces with only 2D planar chirality. The study opens up new routes for designing chip-type biosensing platform, which may allow for highly sensitive detection of bio- and chemical molecules with weak chirality. This work was highlighted by the University of Cambridge and the press release was shared and re-posted over 2000 times. Also highlighted by Newsweek. New nanomaterials find increasing application in communications, renewable energies, electronics and sensing. Because of its unsurpassed speed and highly tuneable interaction with matter, using light to guide the self-assembly of nanomaterials could open up novel technological frontiers. However large-scale light-induced assembly remains challenging. 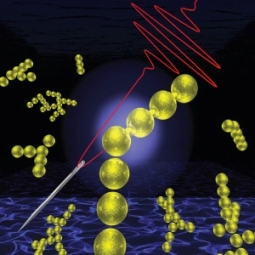 Here we demonstrate an efficient route to nano-assembly through plasmon-induced laser-threading of gold nanoparticle strings, producing conducting threads 12 ± 2 nm wide. This precision is achieved because the nanoparticles are first chemically-assembled into chains with rigidly-controlled separations of 0.9 nm primed for re-sculpting. Laser-induced threading occurs on a large scale in water, tracked via a previously-unknown optical resonance in the near-IR corresponding to a hybrid chain/rod-like charge transfer plasmon. The nano-thread width depends on the chain mode resonances, the nanoparticle size, the chain length, and the peak laser power, enabling nm-scale tuning of the optical and conducting properties of such nanomaterials. This work was highlighted by the University of Cambridge, Phys.org, Materials Views. 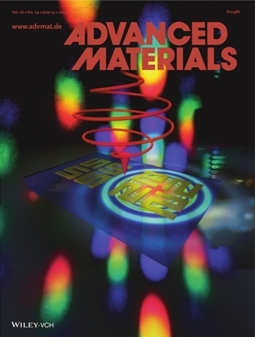 Due to the favorable power-law scaling of near-field enhancements, the nonlinear optical properties of chiral plasmonic nano- and metamaterials are of prime fundamental and practical interest. However, these optical properties remain largely unexplored. Here we demonstrate that nonlinear chiroptical effects are sensitive to superchiral light enhancements and can therefore be used to guide the design of superchiral devices for enhanced chiroptical sensing and asymmetric molecular synthesis or catalysis. While maximal response in linear chiral metamaterials is achieved for deep sub-wavelength dimensions, we show that the chiral coupling in the nonlinear case has a local maximum for a distance of half the second harmonic wavelength. 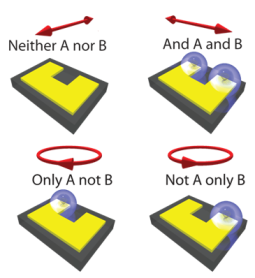 Fundamentally, whereas conservation under space and time reversal causes chiral linear metamaterials to be reciprocal, we demonstrate that the nonlinear ones are non-reciprocal. These results provide a framework for exploiting the benefits of chiral nonlinear meta-surfaces. Adv. Mater. 25, 2517-2534 (2013). 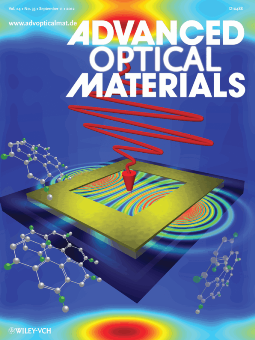 This work has been rated as a Very Important Paper [VIP] by Advanced Materials. The results we show are quite counter-intuitive. Indeed, one might expect randomly oriented linearly polarized light to also distribute the optical near-field over the entire surface of the nanostructures. We show in our manuscript that this is not the case because the expectation fails to take into account the optical properties of this material: while for linearly polarized light the electron density is mainly subject to strong coupling between the nanostructures, for circularly polarized light the electron density distribution is mainly confined within them. Our findings are supported by two sets of independent theoretical simulations and by two experimental techniques - second harmonic generation scanning microscopy and plasmon-induced sub-wavelength laser-ablation. When a pebble drops on the surface of water, it is often observed that a water column, or "back-jet", surges upwards. Counter-intuitive though it might be, a similar phenomenon can occur when light shines on a metal film surface. Indeed, tightly focused femtosecond laser pulses carry sufficient energy to locally melt the surface of a gold film and the impact from these laser pulses produces a back-jet of molten gold with nanoscale dimensions - a nanojet. Surface plasmons are coherent oscillations of the electron density in metal nanostructures that can readily be excited by light. Essentially, in response to the incident light's electric field, the electron density oscillates in the plasmonic hotspots producing an electric current. Associated Ohmic losses raise the temperature of the nanomaterial within the plasmonic hotspot above the melting point. A nanojet and nonosphere ejection can then be observed precisely from the plasmonic hotspots. Abstract: In high definition mapping of the plasmonic patterns on the surfaces of nanostructures, the diffraction limit of light remains an important obstacle. Here we demonstrate that this diffraction limit can be completely circumvented. We show that upon illuminating nanostructures made of nickel and palladium, the resulting surface-plasmon pattern is imprinted on the structures themselves; the hotspots (regions of local field enhancement) are decorated with overgrowths, allowing for their subsequent imaging with scanning-probe techniques. 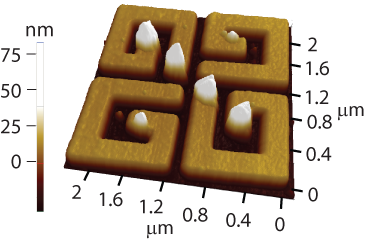 The resulting resolution of plasmon pattern imaging is correspondingly improved.